Thanks to its warm waters and lushly forested shores, the Pacuare River is widely considered one of the most beautiful rivers in Costa Rica. 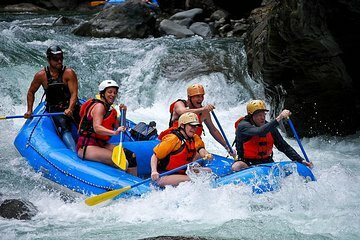 This white-water rafting tour from San Jose is a fun and exciting way to experience the river in just one day. Go up against class III and IV rapids along with a guide who helps you spot wildlife like blue morpho butterflies, sloths, and toucans along the way. Then, enjoy lunch at a local restaurant before heading back to San Jose.